Kiwi composer and saxophonist Jasmine Lovell-Smith presents a new set of chamber jazz compositions inspired by 1950s and 60s West Coast jazz, performed by a diverse ensemble of Wellington’s finest improvisers. Jasmine is once again based in Wellington after seven years spent living in the USA and Mexico. From 2010-2012 Jasmine lived in New York City, where she released two critically acclaimed albums with her quintet Towering Poppies, the most recent of which was hailed by New Zealand Musician magazine as “an intriguing intersection of avant-garde art music and chamber jazz.” In 2012 she moved nearby to Connecticut to complete an MA in composition with the experimentalist composer and saxophonist Anthony Braxton. 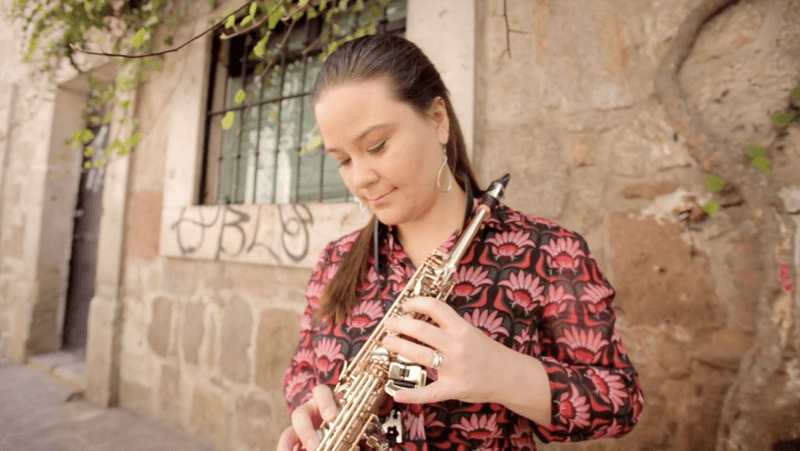 From 2014-2016 Jasmine lived in Morelia, Mexico, where she taught jazz studies and the saxophone in Spanish at the Universidad Michoacana. Jasmine is currently a doctoral candidate in composition at the New Zealand School of Music, working with composer John Psathas.